Hi everyone! Stephanie here today to share my latest Doodlebug layout with you using the new Happy-Go-Lucky collection. 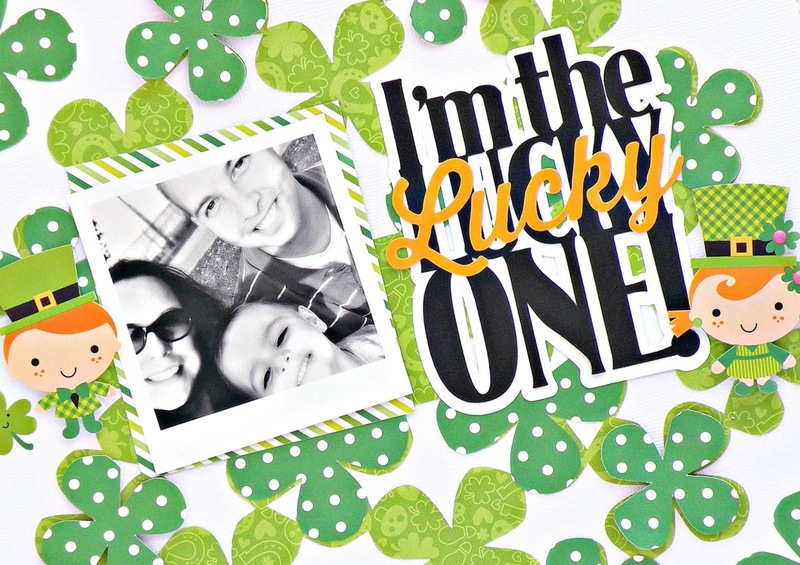 Since St. Patrick's Day isn't really a holiday we celebrate in our family, I decide that it was the perfect collection for me to use to share how lucky I am to have our little family. For this layout I started with my background. I used my Silhouette to cut out this shamrock cluster with the St. Paddy Plaid paper. 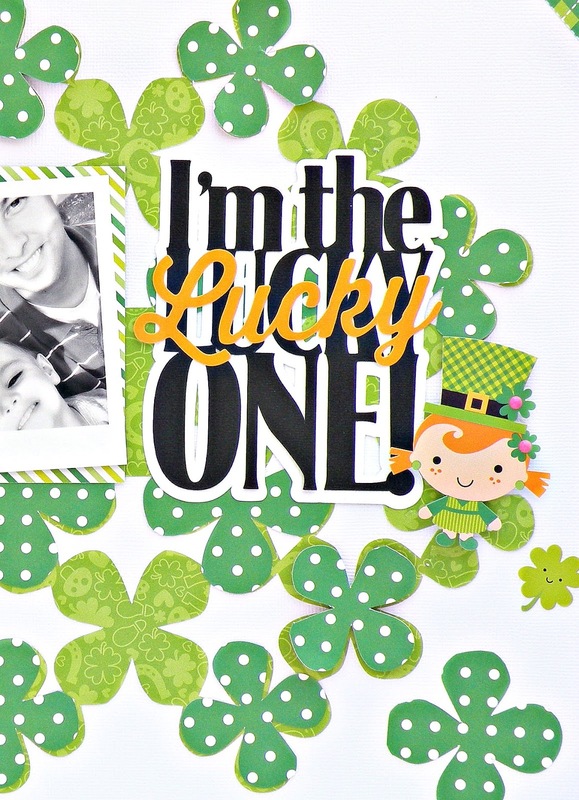 I liked it but felt that it needed other shades of green so I cut it again using the Leprechaun Polka paper and layered some of them on top of the existing ones. My title was also a cut from my Silhouette, after I got it all put together I layered on the "Lucky" sticker from the Icons Cardstock Sticker Sheet. I liked how it introduced some yellow gold into the layout and I added the two little boy and girl leprechauns on each side of my page to balance it out. To finish off my page I used some of the Doodlebug washi tape around my page as a border then sewed around it. This is such a fun collection and I can't wait to see how everyone uses it! So cute!! Love the Shamrock background!! FUN & FABULOUS layout Stephanie!!! 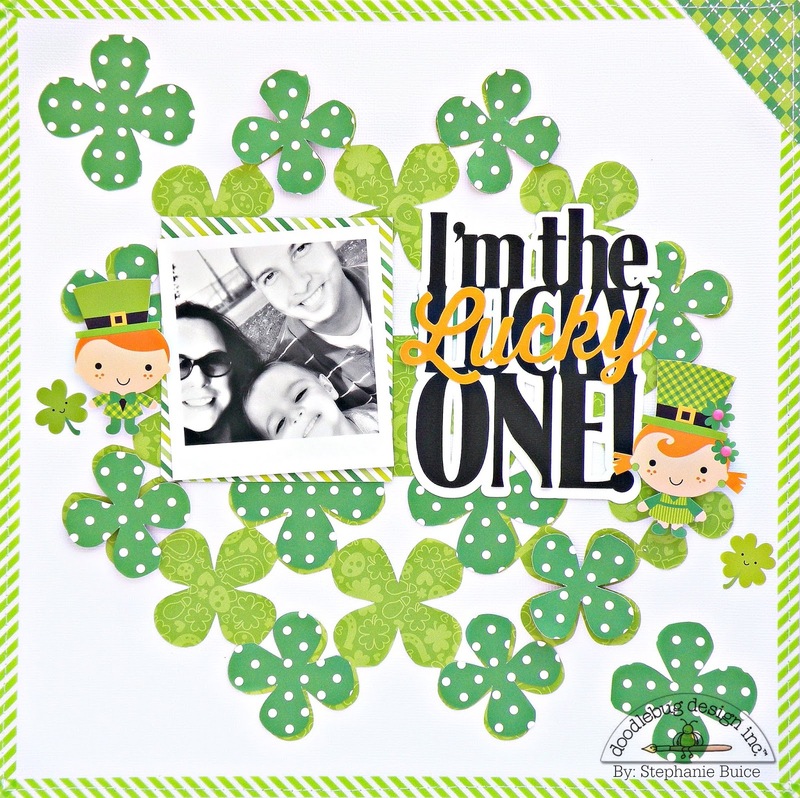 LOVE the papers you used for your shamrock background and LOVE your POP of black with the photo & title!!! Great page and I love the clovers of varying colors and patterns in the background!!! Love what you did with the title as well!! Just awesomely done!! !